Cue dramatic organ music as camera zooms in on Gaviidae gliding across the water in the opening scene of As the Propeller Turns. 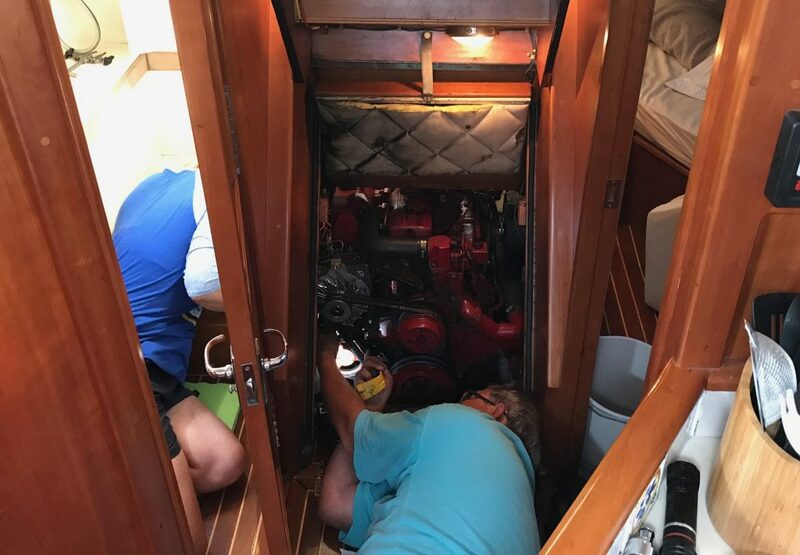 Julie [coming up the companionway steps]: What’s that noise? Dan: What noise? I don’t hear anything. Julie: Throttle back the engine and listen. Voice over with swelling organ: And with that another day passes while Dan and Julie float across the water As the Propeller Turns. Ah yes, glamorous boat life! There are many who believe boat stands for Break Out Another Thousand and this summer with our new-to-us G41 has us joining those believers. This is not to say we are disappointed in our new boat – on the contrary. She has shown us what she is capable of and in those regards, we are very happy. And this has no reflection on Gozzard Yachts, who build fabulous boats and have provided amazing support. No, our New Boat Blues stem from the fact that our boat is 14 years old and didn’t receive the love and attention that she deserved (required) over the last 5-6 years. Boat systems don’t like to sit idle, especially in a marine environment replete with salt air and water which are unrelenting in their abuse. Then there is the background stress of wondering when the “next” thing will break. Or whether our most recent duct tape solution will actually hold until we arrive in a location that might just possibly have “the part” and/or experienced technicians to solve the problem(s). A propane heater that worked when it felt like it but never when it was cold. Usually punctuated with a couple of explosive, heart-stopping bangs. And the coup de grace was the loss of our inverter/charger and other electronics when a service tech (so-called “expert”) — looking for the cause of increasingly erratic alternator performance — arced the house battery bank. The big spark was accompanied by a very loud POP. 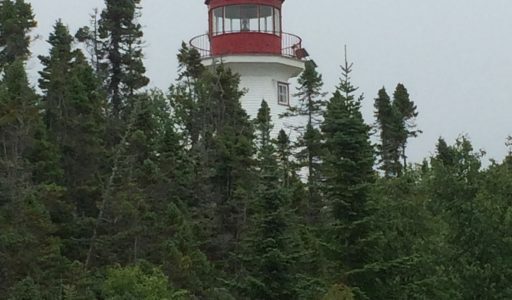 The resultant surge through the boat’s electrical system also blew out the TV, the battery monitoring system, and the high-power transmission capability of our VHF radio. The tech — clearly overwhelmed by our complicated electrical system — never solved the alternator issues (see Alternator failure–above). 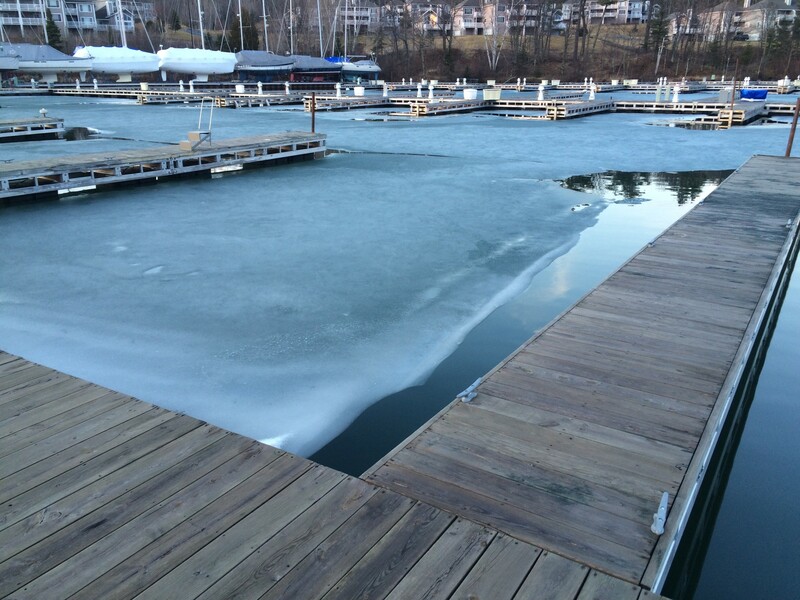 None of the damage to the inverter and other equipment was discovered until after we left that service marina. All those devices worked before the electrician came aboard. Efforts to recoup our losses have so far been ignored. Ka ching, ka ching, ka ching. 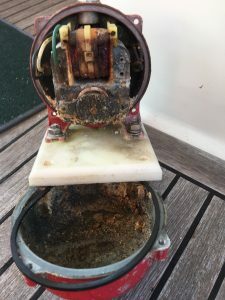 Aft Cabin water pump – love salt water! 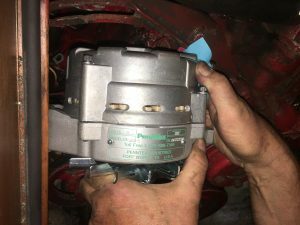 Being completely honest here, the failure of our bow thruster solenoid occurred when a recently replaced cable on the house battery bank came loose and arced, causing a surge through the DC circuits while the bow thruster was engaged. That would be called, as Mike Gozzard so delicately phrased it, a “self-inflicted wound.” That arc also fried the Sony radio/CD player. As you might surmise from this litany of issues we had more than a few phone calls with Mike. I think we are now up to owing him not just a bottle or two of Bourbon but an entire case! Some of the failures stopped us in our tracks. We used that down time to fetch our vehicle from Rhode Island and leap-frog it forward to wherever our current breakdown point was. When we finally made it onto Lake Huron, we both had a sensation that all of our boat problems would instantly disappear once the Gozzard crew got onboard. 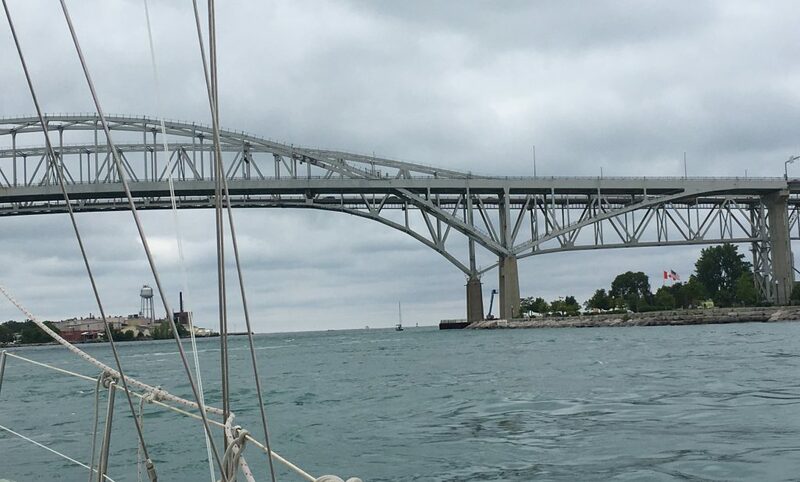 And to their credit, they dropped their other work and jumped aboard Gaviidae, which we docked at the Maitland Valley Marina in Goderich, and took care of the “essential” issues. Of course, they politely (as only Canadians do) asked us to get our friggin’ butts off the boat for a couple days. With that subtle hint we took off in a rental car to fetch our SUV that was waiting for us in North Tonawanda NY. In our absence they pulled the very large fiberglass cover off the aft water tank to address the leak(s). In the process, they completely cleaned/bleached the tank so that it was ready for fresh water with no further treatment. They reattached the cover and fiberglassed all the holes that the prior owner had created when he tried to fix the leaks himself. The vapors were a bit on the strong side from the fiberglass adhesive, so we spent the night at our favorite local motel, The Dreamz Inn, where we ignore their rules about no beverages in the pool and whirlpool. We’ve stayed there so often, they just smile and nod their heads! The Gozzards also “loaned” us an inverter/charger and battery monitor so we continue our summer sailing. Replacing that system will cost a few more BOAT units; expenses delayed for the time being thanks to the Gozzards. They took care of some other critical issues and we took care of a few things ourselves. After being dockside for a week, Liz Gozzard started harassing us to leave. “The summer is short and so is life,” she admonished more than once. “You need to get out of here.” Liz can be a bit direct at times. Taking her advice, we re-provisioned and headed back out onto Lake Huron with the New Boat Blues playing a little softer in the background. While in Goderich, we dropped more than a couple of BOAT units and knew more would have to be found. We may have to consider crowd-sourcing to help support our nautical lifestyle — or to finance a pilot of As the Propeller Turns. Oh, Julie and Dan, how do you keep from collapsing. This is more than we could handle at our ages. So glad you two are young. You are just getting stronger. And what is the alternative? Am worried what we will find when we return to Ihana. She will have sat on the hard for 18 months. But…the alternative? Need to go south when hurricanes are done and FL is ready for tourists. Do have a confirmed reservation at Fort Pierce. Lot of pressure on marinas still standing in FL and the Bahamas. Back in MN since Wednesday. Brought Maija Lisa home on Saturday. Trying to catch up as I was gone for almost three weeks. Home needs attention now. Keep blogging. We need you. Hope you are finding a place to put your head down at night. We’ve had similar calamities aboard Northern Star. After our lightning strike we replaced essentially everything that had a circuit board including the senders on all fuel and water tanks. Not to mention navigational equipment and alternater/regulator , and radios. Recently we replaced the autopilot drive unit, hot water heater and the simipermeable membrane on our water maker. I think (fingers crossed, knock on wood) that we’re ready to head south.